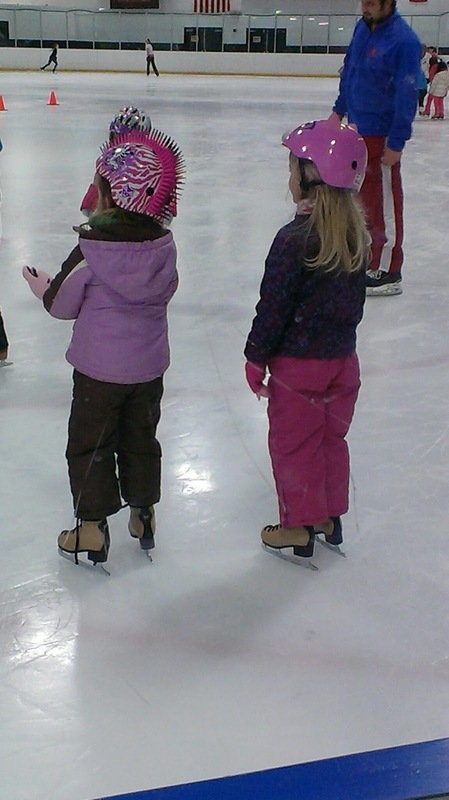 Marley's bestie Gracie bought her ice skating lessons for Christmas. 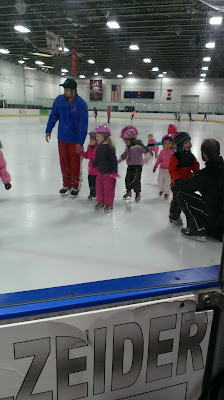 They go every Thursday for 45 minutes. It's only a month long, but I really appreciate Gracie's mom getting it for Marley, because she really enjoys it, and she loves spending time with Gracie. Their first week, Brandi (Gracie's mom) picked up Marley and took them. She said Marley did really good, and Gracie kept falling down. 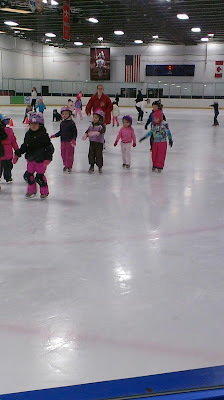 The second week Gracie was sick so they didn't go =(. 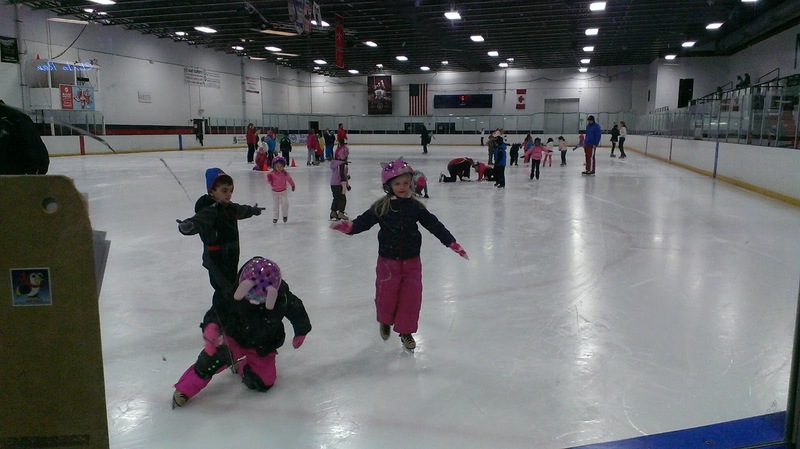 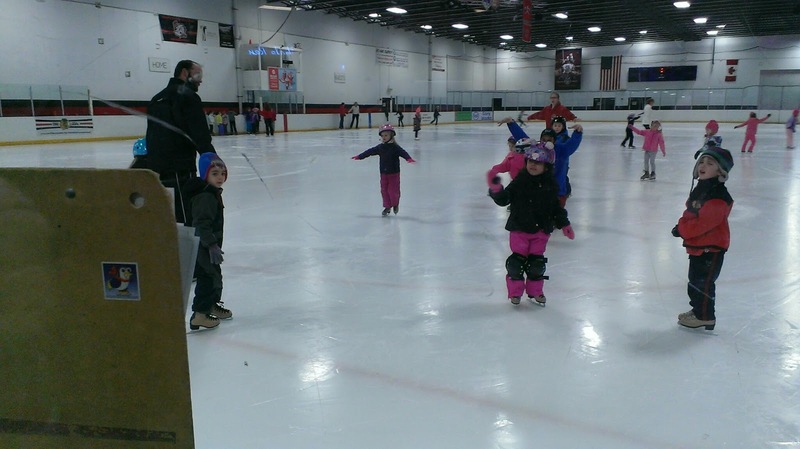 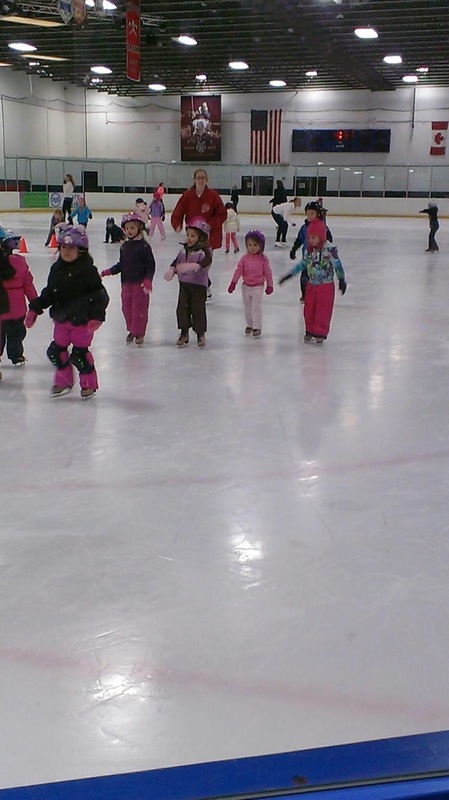 This past week, Mike and I were able to go to the skate place to watch them. 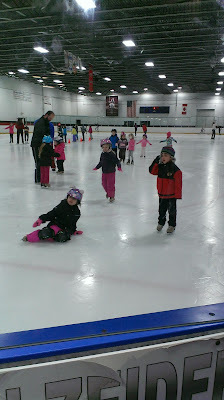 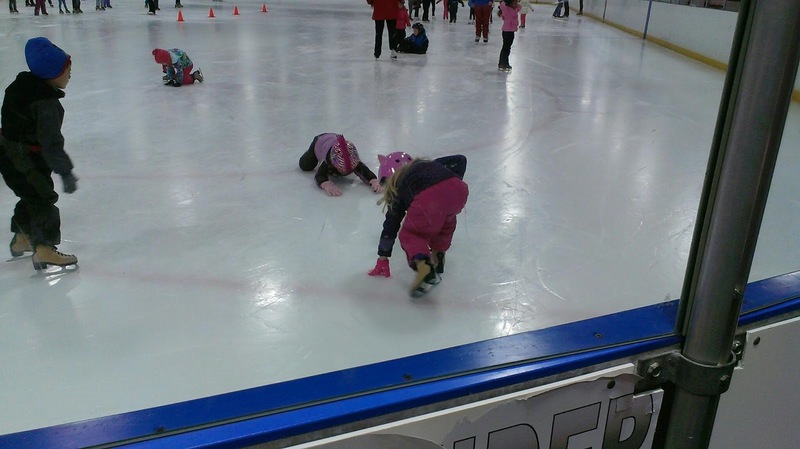 Marley was falling all the time and Gracie was doing awesome. I think Marley was just falling because it was fun and the other kids were doing it. 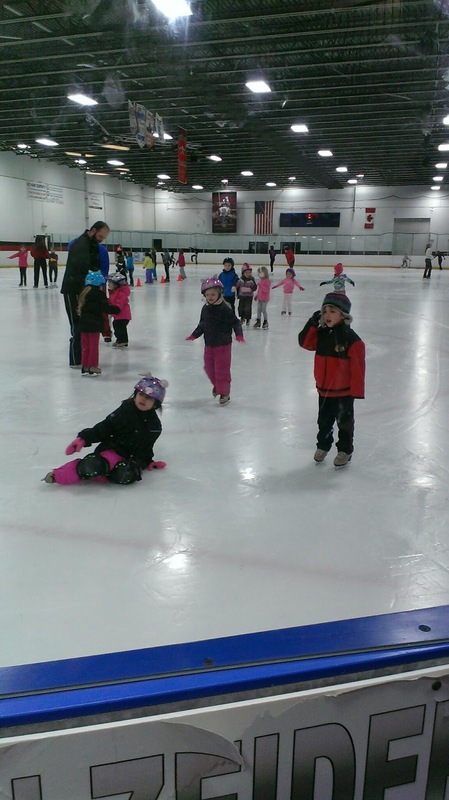 Goof ball! 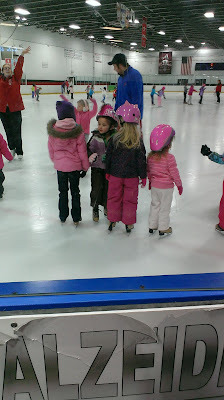 Marley's in the purple coat and mohawk helmet. 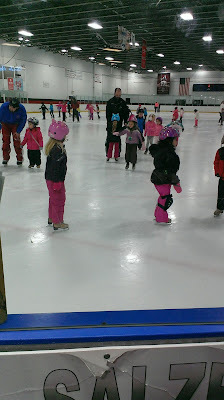 Gracie is in pink pants and cat helmet. 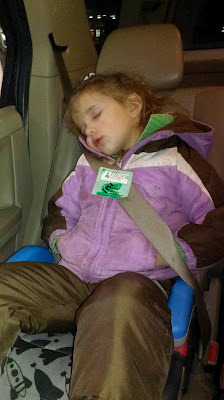 On the way home she crashed out. 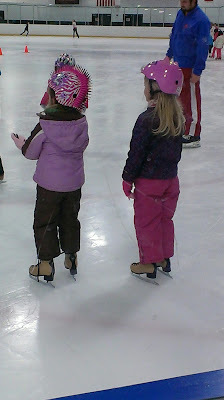 This was the same day that we saw Disney on Ice so she had a lot of skating in one day.